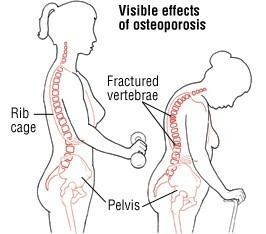 Osteoporosis which means “porous bone” is a bone disease of middle and old age affecting more women than men. A healthy bone resembles a honeycomb but an osteoporotic bone is less dense and replete with abnormal tissue, spaces and holes. 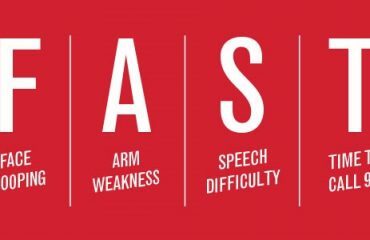 It’s a “silent” disease that patients don’t know they have until a bone weakens and suddenly breaks from a fall, a minor movement or even a sneeze! Breaks or fractures occur most often in the hip, wrist, or ankle and can cause loss of height and curvature of the spine. 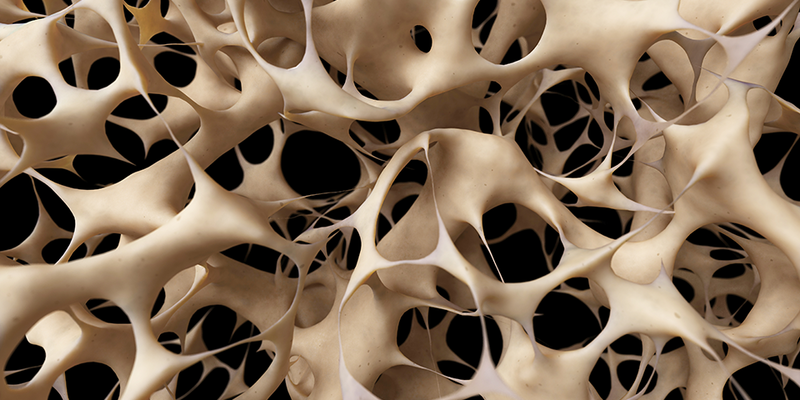 In the US, 54 million Americans have osteoporosis or low bone mass called osteopenia. According to the National Osteoporosis Foundation, “approximately one out of two women and one out of four men age 50 and older will break a bone due to osteoporosis.” Breaking a bone is a symptom; not a cause. Diseases such as cancer, autoimmune disorders (Lupus, Rheumatoid Arthritis) eating and digestive disorders (Celiac Disease) can bring on osteoporosis. Some medications also cause bone loss, notably steroid treatment for other diseases. By 2025, experts predict that osteoporosis will account for three million fractures and over $25 billion in costs annually. Now, however, there is a possible ‘first-line’ treatment for a rare bone loss disease identified by a research team in Japan. The research findings, published in the journal Molecular Cell, could also provide insight into treating age-related osteoporosis. According to the findings, “Hajdu-Cheney syndrome is a rare genetic disease that leads to severe osteoporosis and developmental defects, including the resorption of bones in the hands and feet. The disease is caused by mutations in a particular gene, called NOTCH2, which helps maintain the balance between bone breakdown and buildup essential for bone maintenance and repair.” Mutations associated with Hajdu-Cheney syndrome disrupt that balance, but the exact reasons have not been well understood until now. Researchers found that this particular mutation does not maintain the normal amount of protein formed by NOTCH2; this protein, helped by protein formed by another gene FBW7 maintains healthy bone balance. To test their theory, they eliminated Fbw7 in mice and found that without the gene and its resulting protein, the mice developed severe osteoporosis, (like people with Hajdu-Cheney syndrome) indicating that FBW7 is a primary regulator of this system. They further demonstrated that in patients with Hajdu-Cheney syndrome, the FBW7 protein was unable to bind to NOTCH2 proteins because the binding spot is missing in osteoclasts (cells that break down bones). This allows the osteoclasts to over-operate, destroying bone tissue. The researchers were able to reverse bone loss in the mice by giving them a medication that blocks osteoclast from forming. They tried several different treatments, settling on a chemical compound called DAPT. In other studies, DAPT has been effective in easing osteoarthritis by inhibiting function of NOTCH proteins. 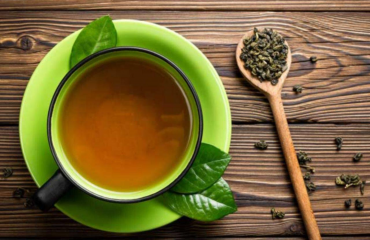 Using DAPT as well as Zoledronic acid (also known as Zometa or Reclast— common medications for osteoporosis), the researchers concluded that DAPT may not only become a first-line treatment for Hadju-Cheney syndrome but also may play a wider role in more effectively treating patients with age-related osteoporosis. To keep your bones healthy take calcium and if you are over 50 and experiencing bone breaks, height loss or changes in the shape of your spine consult your doctor immediately. It may be time for a bone density test to assess your bone health. It’s also important to check your levels of Vitamin D (which aids in the absorption of calcium); your doctor can order a simple test which will tell you whether you need to take a Vitamin D supplement or not.